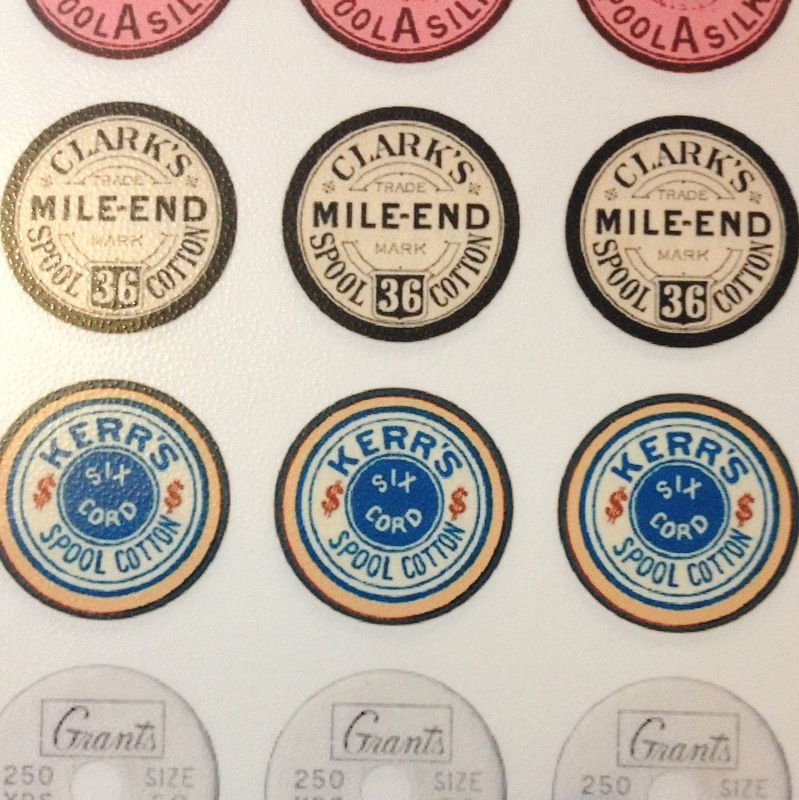 paper/card and haberdashery. 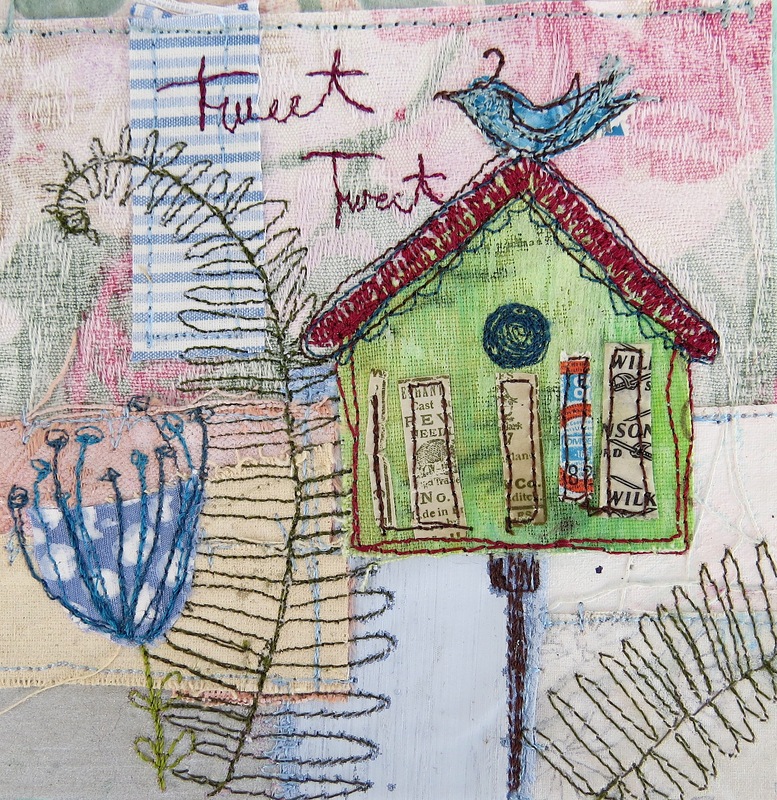 This is a great way to experiment with techniques such as stitch, collage and surface decoration to make something that is personal to you. 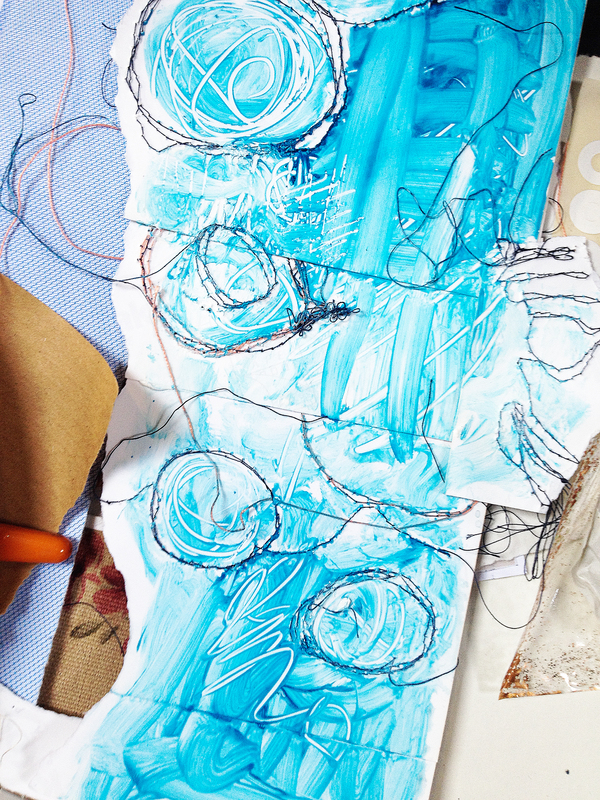 Once your range of sheets is complete you start the exciting process of putting your papers and fabrics together and learn how to assemble them into the form of a book. You can make any size of scrap-book you wish and create it for a special purpose either to keep all those important bits and bobs you can never find a place for, perhaps a sketch book, or maybe a photograph album the choice is yours….! No experience necessary just bring enthusiasm. You will create dainty flowers using wire, fabric and paper, this a great way to use all those old wooden cotton reels that we just can’t throw away. They can be decorated however you wish using trimmings, buttons and hand-stitch. 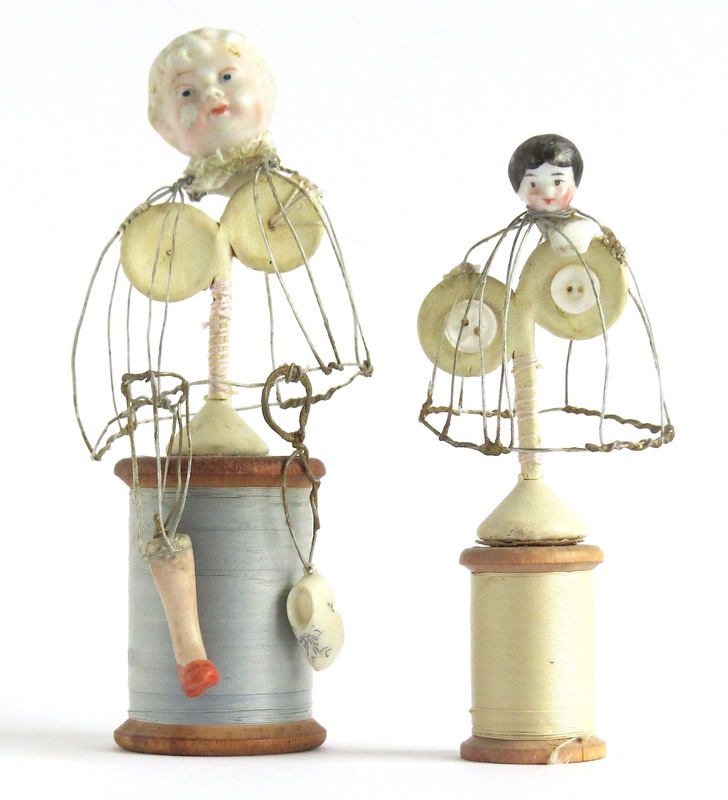 All abilities welcome and materials provided (except cotton reel). 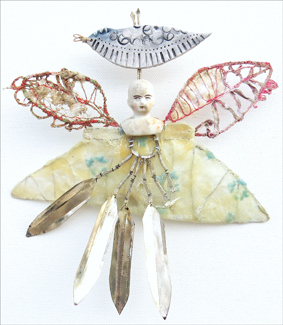 Priscilla creates sculptures that draw upon her life long love affair with here vast collections of odd an curious objects. 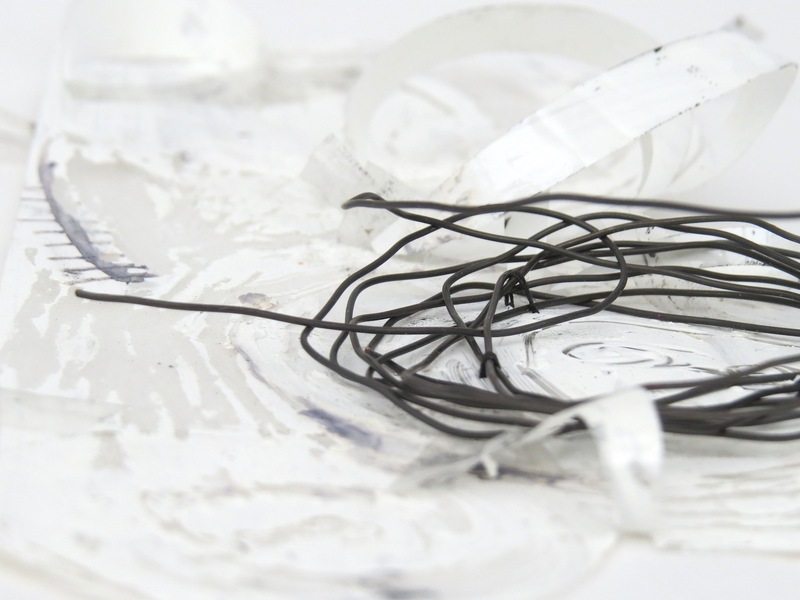 During this workshop, Priscilla Jones will share with you the creative techniques developed through her experimentation and process of making. 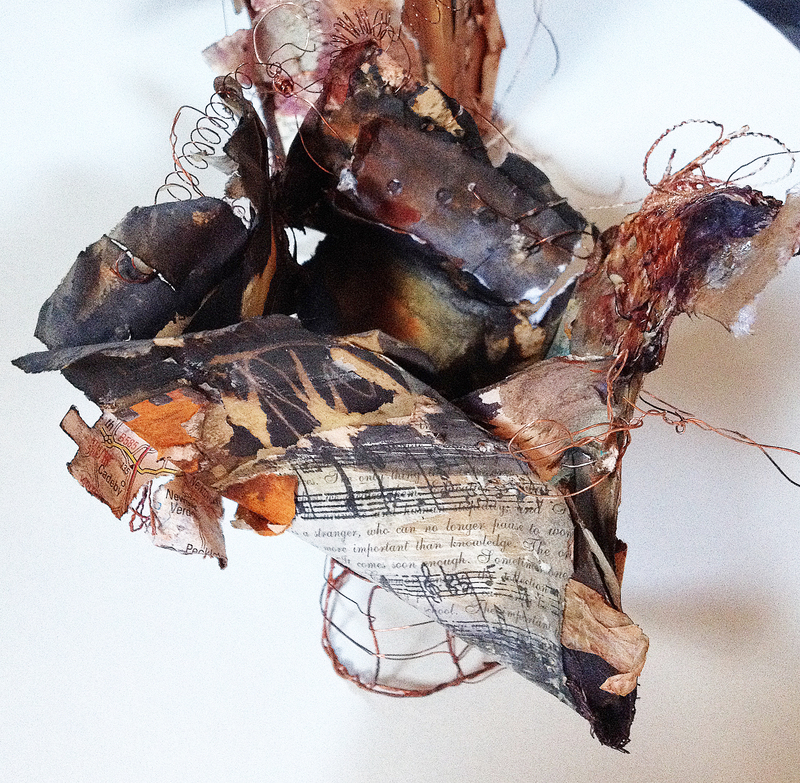 You will make your very own 3D sculpture inspired by whatever theme you wish… using wire, wax, and found ephemera. 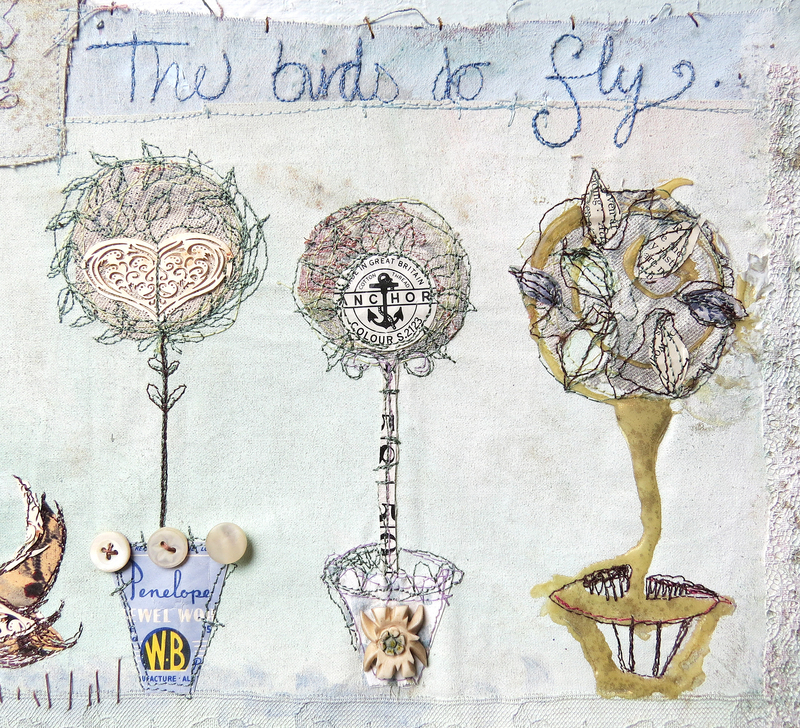 You will learn a range of processes including how to construct a wire structure that can be in 3D or 2D using light weight wire and then work into this by creating a surface to hand stitch and embellish with paper, buttons, beads and trimmings. Materials will be provided all you need bring is enthusiasm and some found objects or materials from your own collecting. This is a perfect opportunity to develop ideas you may have started in previous workshops with Priscilla or you may wish to come along and learn a range of new and exciting techniques! 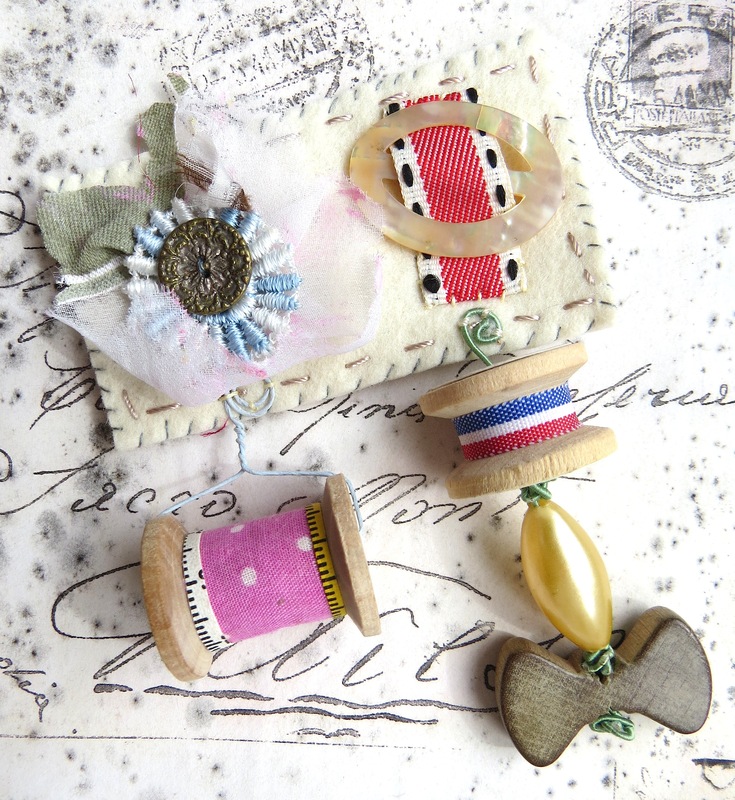 Join Priscilla and make your very own vintage inspired brooch from wonderful wooden cotton reels! 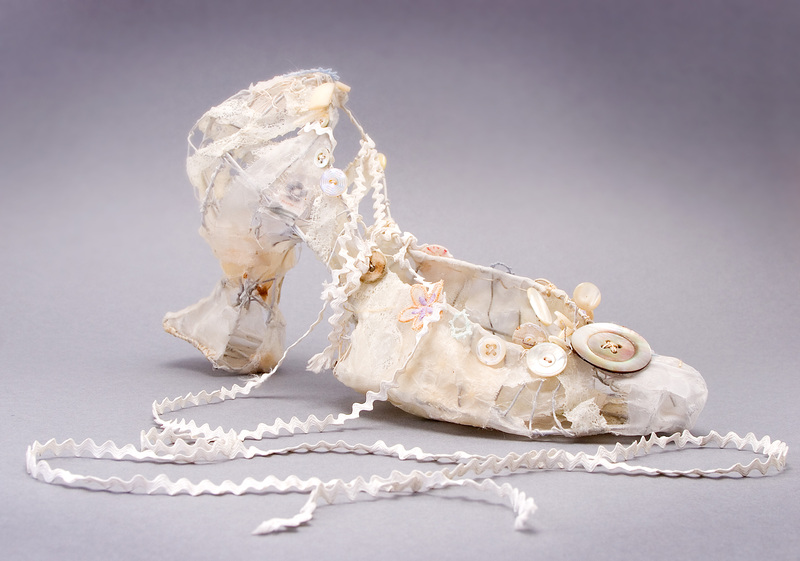 You can embellish them with lovely floral fabrics, old linen and lace, ribbon, buttons or beads. All materials provided and no previous skills necessary all you need to bring along is your enthusiasm for vintage! 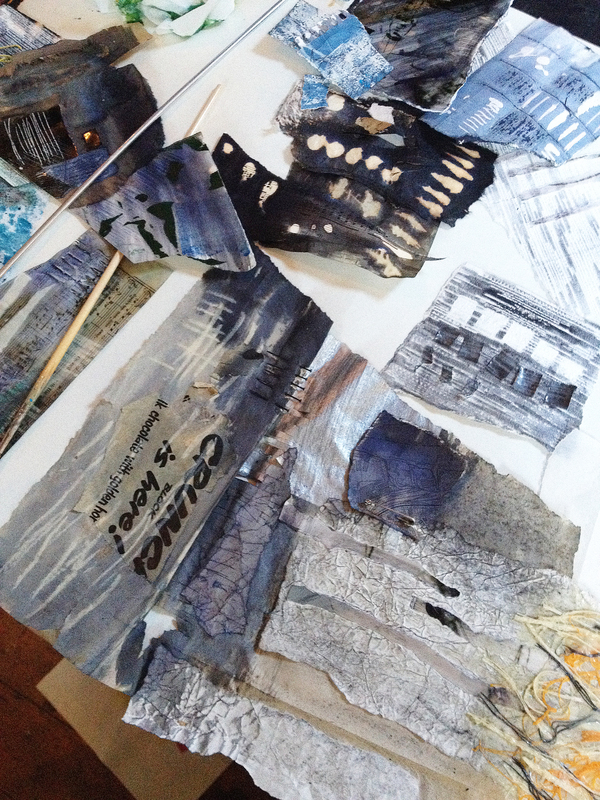 The cost of joining is just £5 per person and the workshops run all day from 11am so just drop by and join in. Each workshop will take about 45-60 minutes. There are still places available…. come and join us! 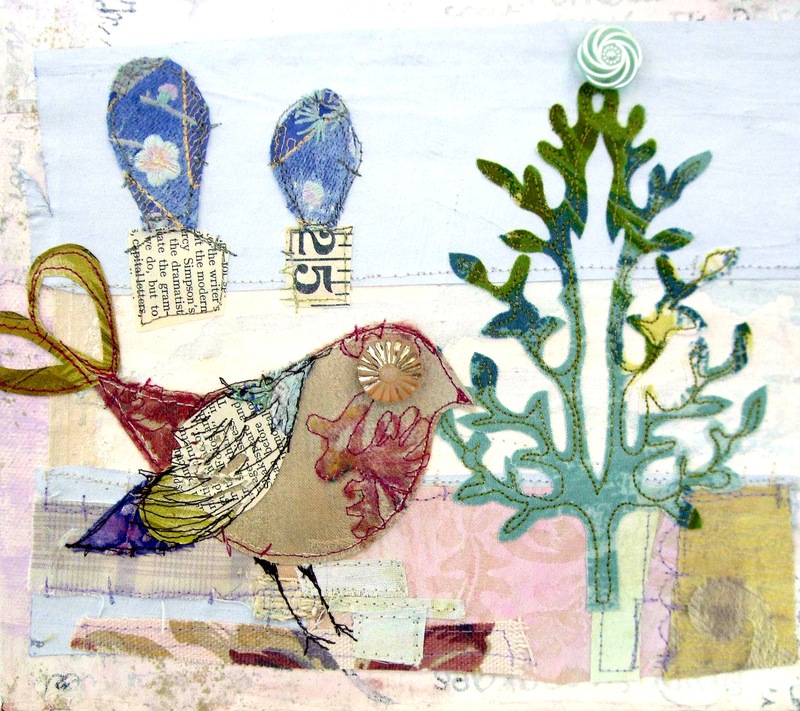 During the workshop you will explore how to create a mixed media collage using gardens and birds as inspiration. 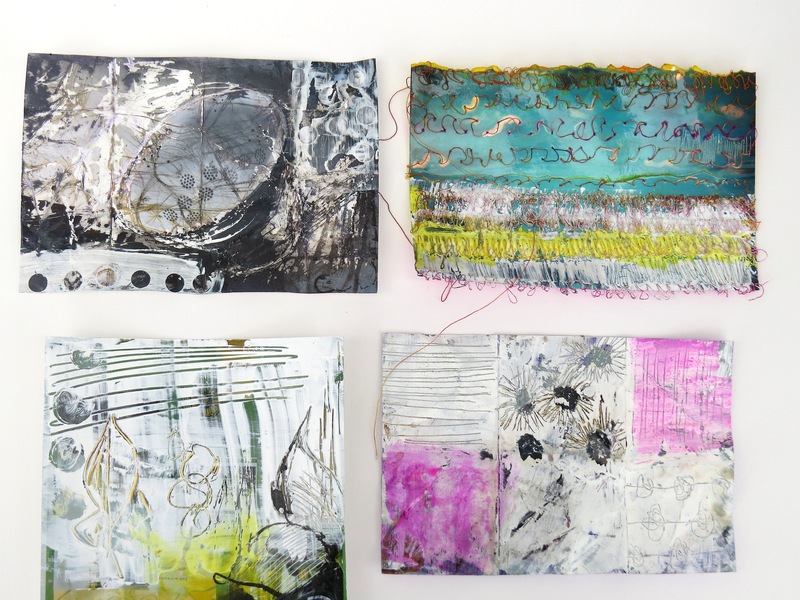 You will create a variety of experimental papers using mixed media techniques: including, mark making and hand printed textures. 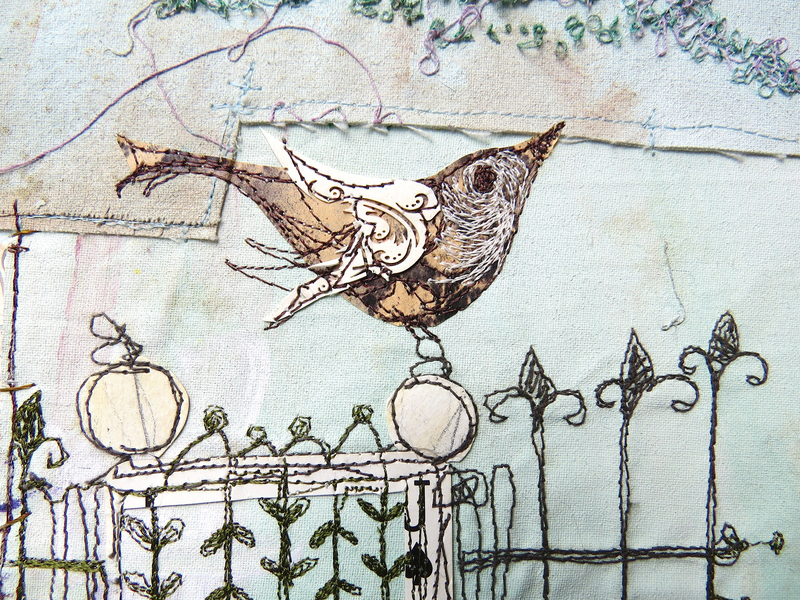 Using your prepared papers you will experiment with the process of assembling your collage using hand and machine stitch to create a finished image. 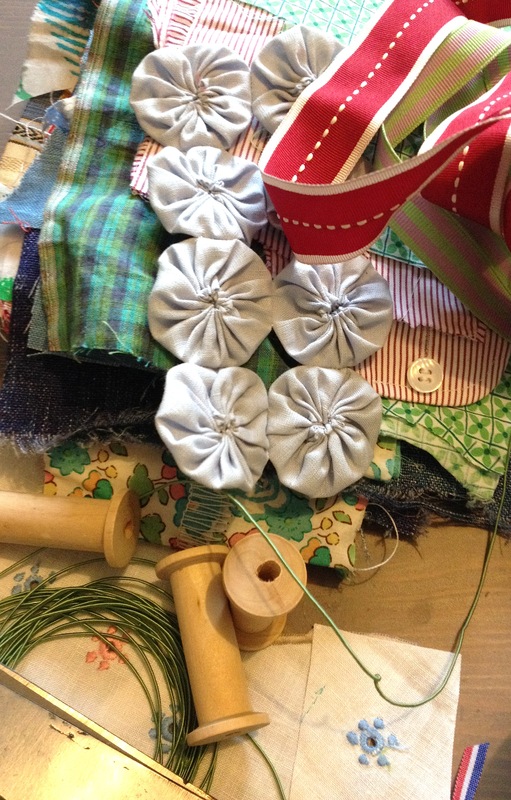 No previous sewing experience is necessary, however if you do have a sewing machine please bring one. The wonderful David Scragg is coming all the way up from Norfolk to deliver one of his amazing workshops in Silverdale this May…do share and spread the word! 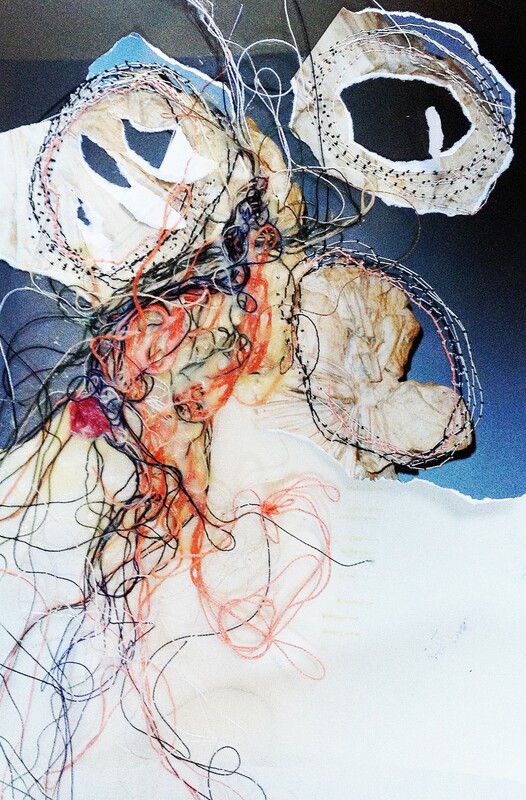 “Love wire” is reviving the art of traditional wire work that originated in Slovakia over 300 years ago! David will be showing you how to make a traditional wire basket . Add that french rustic look to your kitchen! All equipment is provided including Tea, Coffee etc. but bring your own lunch!